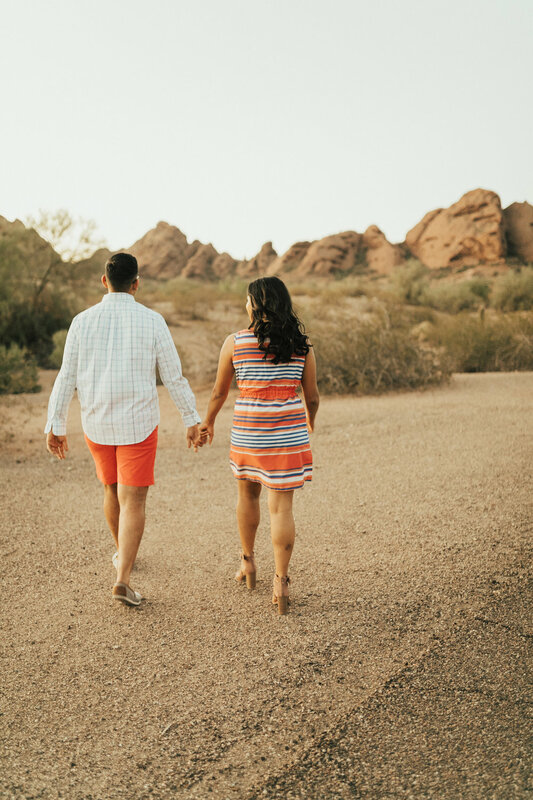 Summers in Arizona are no joke! It can get pretty toasty! 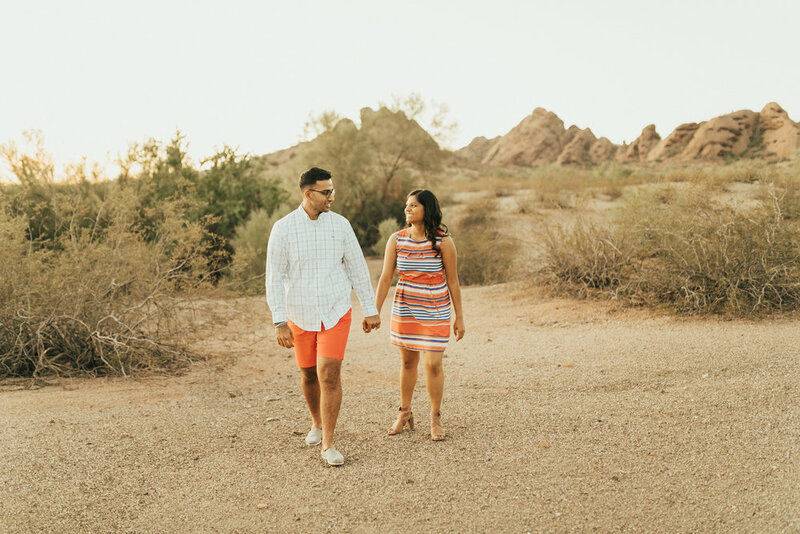 For Amisha & Nish’s engagement session, we decided to conquer the desert heat, in exchange for a beautiful sunset engagement photo shoot at Papago Park! 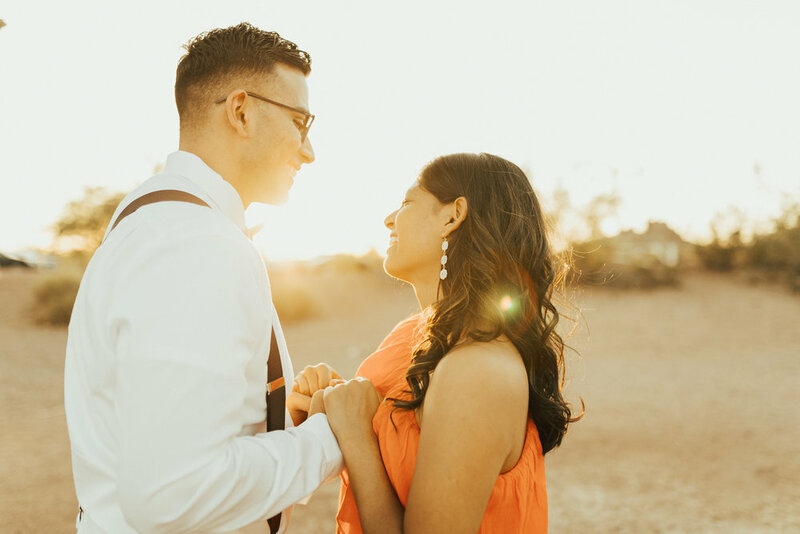 The warm sunset had them glowing throughout their entire session. Their kind hearts and pure love for each other was truly shining bright, lighting up the entire park!